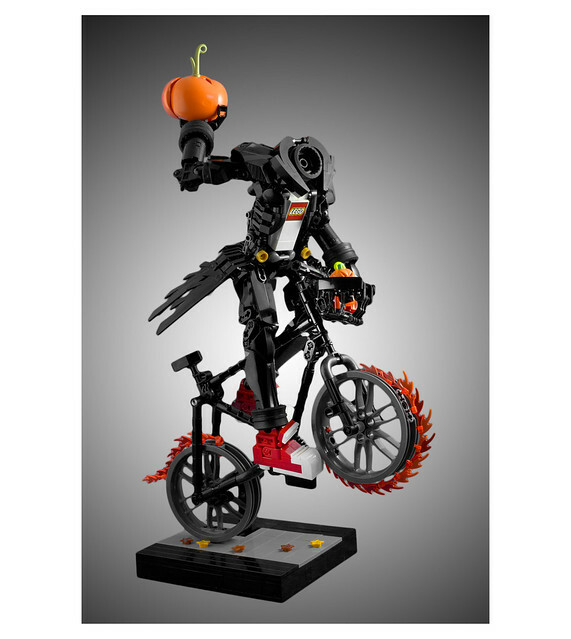 This brilliant MOC by dviddy is a modern day spin of the classic Headless Horseman. That is if the horseman was a hipster on a fixie bike wearing a totally cool retro jacket. And he doesn’t so much want to throw his jack-o-lantern head at Ichabod, just wants to let him know it’s organically grown in bespoke divots in a carefully tended pumpkin patch.